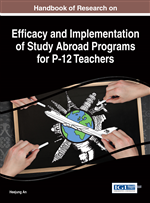 This chapter presents information about Ball State University's Study Abroad Program within the Department of Elementary Education. A general description of students enrolled in the Elementary Education program is given, both historically and currently. Then the origins of the Ball State Elementary Education Study Abroad program are explained, followed by a description of countries and program types that have occurred over the years. A general overview of program considerations, including making contacts, recruiting students, and working with schools is then provided. Next, three travel programs in the department are described, including development, recruitment, and vignettes focusing on experiences in each program. Next, research about program experiences is presented, including the impact of study abroad experiences on students. Personal reflections from instructors who have participated will then be shared. Finally, suggestions about developing and implementing programs will be identified. Research on study abroad programs has examined a variety of factors including personal development (Eby, 2005; Hadis, 2005; Kitsantas, 2004; Lindsey, 2005), increased cultural awareness (Kambutu & Nganga, 2008; Paige, Fry, Stallman, Josic, & Jon, 2009; Stangor, Jonas, Stroebe, & Hewstone, 1996), and empathy (Zhao, Meyers, & Meyers, 2009). All of these factors are critical to the development of teachers who are able to relate to and provide meaningful instruction for students from diverse backgrounds. Students who participate in study abroad programs show definite signs of personal development, including being more independent, outgoing, friendly towards those of other countries, more self-assured, and more uninhibited towards traveling abroad than they were before they left (Hadis, 2005). Study abroad experiences have also been shown to increase participants’ independence, cultural awareness, ability to speak foreign languages, and desirability to future employers (Sutton & Rubin, 2004). In addition, those who travel to study abroad indicate increased emotional resilience, flexibility and openness, perceptual acuity, and personal autonomy (Kitsantas, 2004). Similar research has explored how study abroad experiences affect students’ personal and professional values (Lindsey, 2005). Results indicate that study abroad experiences enhance students’ self-awareness and lead students to challenge their own values and biases, while developing sensitivity. Furthermore, participants became more open-minded when considering personal and cultural values, and heightened their levels of self-awareness through reflection. Participants demonstrated an appreciation of difference, grew in culturally sensitivity, and demonstrated a stronger sense of social justice, primarily with racial and ethnic discrimination. These results suggest a growing willingness to learn from other cultures while critically examining one’s own culture. Teacher Candidate: An undergraduate student preparing to become a licensed teacher. Concept Map: A graphic depiction of brainstorming, which starts with a central concept and then includes all related ideas. Preservice Teacher: Students who are studying to be teachers, but are not currently teachers. Inservice Teacher: Individuals who have earned a degree or license in a particular teaching discipline or area, and are currently teaching.